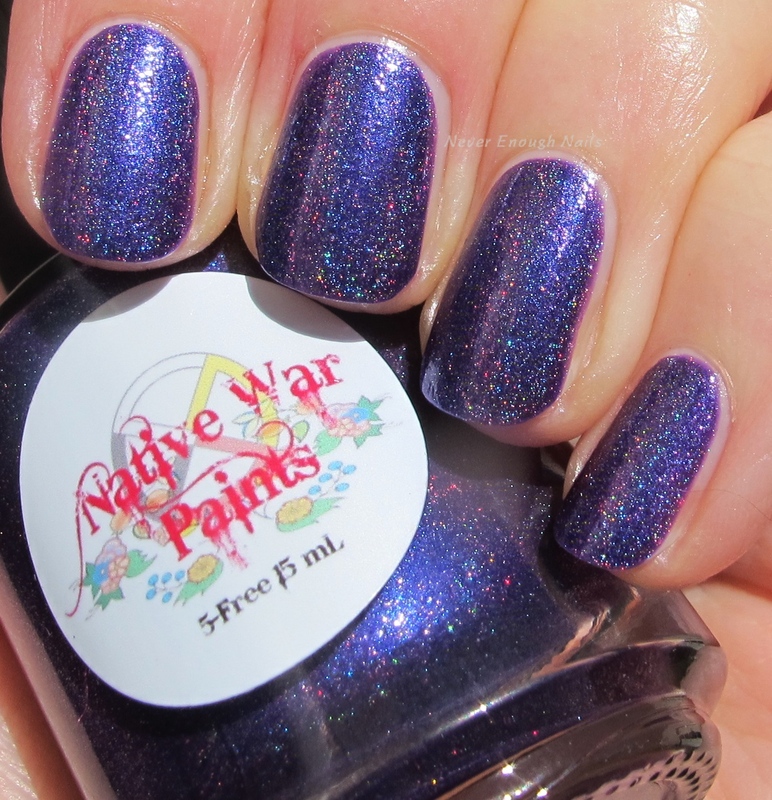 Today I have a polish from a new-to-me indie brand, Native War Paints Shot by Cupid's Crossbow. Native War Paints recently released a trio of polishes called The Walking Heartthrobs, inspired by three of the characters from The Walking Dead. Let me be 100% honest with you here, I only purchased this polish because it was named for Daryl Dixon! (There are also polishes inspired by Rick and Glenn, by the way.) Luckily for me, this is a lovely polish, so I have no regrets. 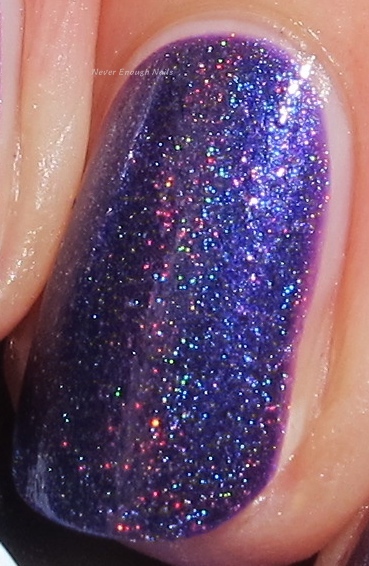 This is a grape purple linear holo with blue undertones. The linear holo flame is nice and strong. I found the color to be a little more of an average purple than the intense indigo it appeared to be on the website, but I still like it. This is two coats. It was pretty easy to apply and nicely opaque. So is this polish totally unique in my collection and necessary to my life? Not really... but it was inspired by Daryl Dixon... so I think it was a justified purchase!! You can still purchase this and the other two Walking Heartthrobs polishes on the Native War Paints site.